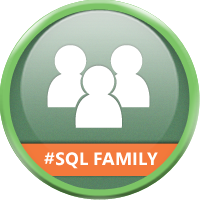 Next week I'll be leaving for SQLSaturday #337 Oregon and PASS Summit 2014 where I will be speaking at both! SQLSaturday #337 Oregon will be my first trip to Portland, so I'm looking forward to seeing a new city and speaking to the Oregon SQL Server community. My session will be "Date and Time Dimensions for Every Day and Time in No Time" at 1:15pm in Room 204 (keep your eye on the schedule page or Guidebook just in case it changes). I love giving this Date Dimension talk as it is something that every Data Warehouse needs and everyone hates setting them up, so I help with a single script and some advice. If you are going to be in the Portland area on Saturday, November 1st, please make sure you register and I'll see you next Saturday! After SQLSaturday #337 I'll take the Amtrak from Portland to Seattle on Sunday for my favorite conference, PASS Summit 2014! 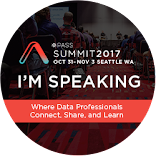 PASS Summit is a yearly SQL Server conference that has thousands of SQL Server professionals and speakers from across the world. For the second PASS Summit in a row I'll be presenting a session. After attending this amazing conference yearly since 2007 I have become very involved in the SQL Server community and love that I now get to be part of speakers/volunteers that make this event great. I'll be presenting "What Version of SSDT do I Need?" at 3pm on Wednesday, November 5th in Room 606. 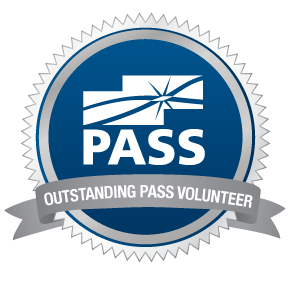 I'll also be volunteering at the PASS Community Zone, so make sure to stop by and say hi! Looking forward to seeing everyone in Portland and Seattle in a week and hanging out with my #SQLFamily at both events!